There is nothing more exciting to a business owner than to watch their website visits continue to increase on a daily basis, however, the amount of work that must be performed in order to accomplish this can be intimidating. Many business owners stop dead in their tracks when they begin to research this aspect of the business, as it requires a significant effort. For those who are content with 20 website visits a day, carry on, but for those who are looking for hundreds or even thousands of visits a day, grab a pen and paper in order to take notes. Before going into detail on how to get a significant number of website visits a day, let’s first go into what not to do, mainly, don’t purchase website hits. For those who are looking for the easy way out, it doesn’t exist. In fact, those who still haven’t figured out that the game of life doesn’t favor the easy way out should go back to start and avoid collecting $200. With that said, the best way to allow traffic to flow onto a website is through generating high quality content. Writing content in order to increase website traffic isn’t all that difficult, just sit behind the computer, do a little research and start pecking away at the keyboard like a hen that hasn’t eaten in a week. Those who just aren’t cut out to write blog posts can also hire professional writers to take care of the hard work. Either way, fresh content that is supplied on a consistent basis is the key to plenty of website visits a day. We are told time and time again that content is king, but many don’t understand how to create amazing content that convinces readers to keep coming back for more. The first item of business involves creating a title that encourages readers to click on it. A title must be intriguing and even a step out of the ordinary. Titles that are formed in a question format have the potential draw in clicks. When developing a title, use an ideal number of words, about seven, as this is generally more attractive. Articles that use a title that offers a reader a solution to their problem are clicked on with the greatest frequency. In order for an article to reach the maximum amount of readers, it should be based around certain search engine friendly keywords. Use these keywords throughout an article, yet avoid over using them, as it will hamper one’s SEO effort. Always use these keywords in the title of an article, in the first paragraph, in the body of an article, and in the conclusion. Remember to also use these keywords in the meta tags in order to inform search engines about what an article is about. Use the keywords a minimum of four times throughout an article, as this is sufficient. Now that an article is search engine friendly and reader friendly, it is time to publish it. Immediately after publishing an article, it is time to start promoting it in order to capitalize on all the work performed so far. Article promotion should focus on acquiring the all-important backlink. In order to receive a large number of backlinks, make it easy to share an article and make sure an article is well exposed. 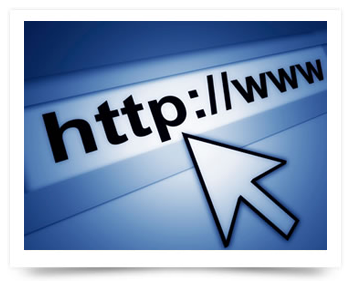 A good way to receive more website visits a day is to trade links with other high quality websites. Those who swap links with other websites that have the same niche should be able to benefit mutually and obtain more traffic overall. Another way to receive more backlinks is to guest post for other blogs, ideally those that have a respectable page rank. This will enable business owners to obtain high quality backlinks that will improve their own Page Rank and result in even more traffic. A few other ways to promote articles involves sharing them with social media followers and becoming active on niche forums. Focus on sharing an article on Facebook, Twitter, and Reddit, as the amount of traffic that will come in from these sources is astounding. When utilizing forums to promote an article, only link to an article, if it is directly related to the post addressed and focus on providing high quality information in order to develop a solid reputation. The business owners who are satisfied with 20 website visits a day certainly have not read this far, so congratulations on having made it to the end. Now don’t wait, begin work on the most amazing blog post and promote it with an undying motivation that will pave the way for a consistent content promotion system. With due effort, 100, 1,000 or 10,000 hits a day is possible, but all relies on consistent work ethic.